I have heard lot about Hyderabadi Dum Biryani before coming to Hyderabad and was really tempted to taste it once the moment I came here. But somehow after multiple tasting(yes, I only tasted it but couldn't eat much), it failed to impress me miserably. I found it very bland with scanty masala paste and loads of white rice. It lacked that kick or X factor flavor. I chanced this recipe in a local magazine and I instantly knew I am going to give it a shot. When I tried it, it turned out amazing and this biryani makes into my every week menu. 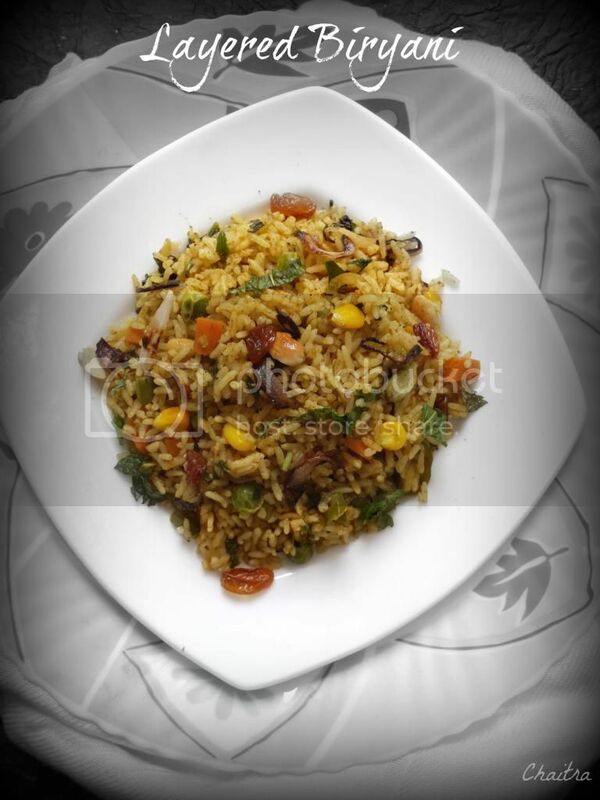 Be assured to have flavorful yet tasty and spicy Veg Biryani. Wash and cook rice with salt, a tsp of oil, 1 and ½ cup of water and spices mentioned. Once your rice is cooked, fork it to get separate grains and reserve for later use. Heat oil in a pan, fry cashews and raisins. Keep them aside. In the same pan, add a tbsp of ghee and fry the ingredients mentioned under “To Temper” section until fragrant. Now add onions, green chillies and fry for 2 mins. Add ginger garlic paste and fry till the raw smell subsides. Add all the vegetables and masalas. Cook this mixture for 5 mins. 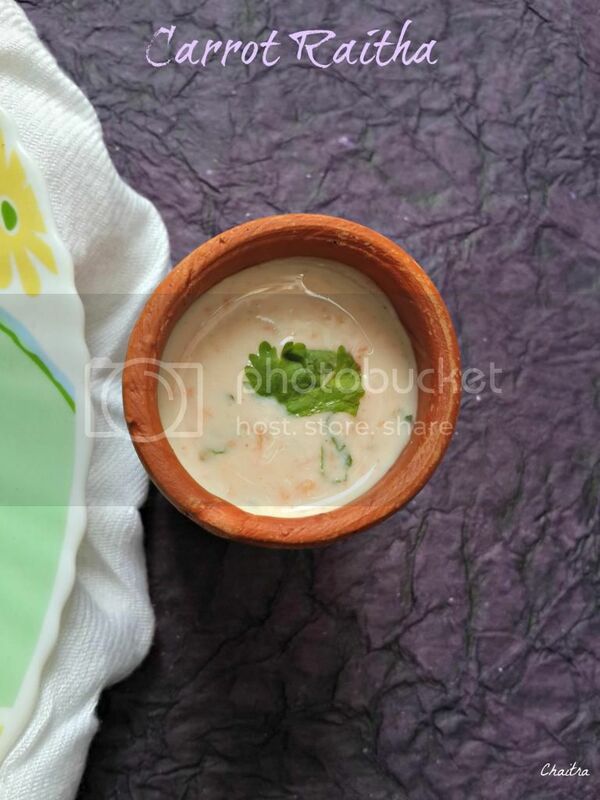 Once vegetables shrink in their size, turn your flame to sim and add curd. Ensure it coats all the vegetables and cook for another 3-4 mins. Add 2 tbsps of coriander-Mint leaves and mix. Ensure that your curry consistency is semi dry. Once done. Switch of the flame. Take a wide sauce pan or a bowl. Spread a layer of rice followed by vegetable layering. Sprinkle fried onions, nuts and chopped mint+coriander leaves mixture. Repeat this process till you are done with rice and masala. On the top layer, add remaining ghee and close the lid. Now take dosa pan and add 1/4th cup of water. Let it boil. Once it starts boiling, turn the flame to low and place your bowl containing layered mixture on it. Allow it to cook for 10-15 mins and take care of the water level and add water to the pan if it gets evaporated. 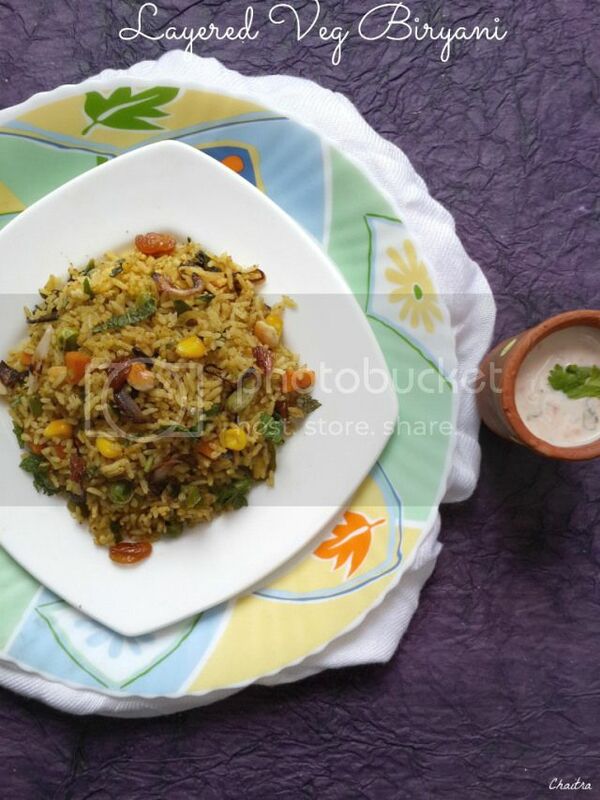 The ingredient list is quite lengthy but the end result is flavorful and tasty veg biryani. Adjust the spice levels according to your taste. You can even bake your biryani at 140 degrees for 15 mins as an alternative to the dosa pan method. Do not skip on any ingredients. You can add saffron milk to give nice color to your rice. Team it up with simple raitha . Any spicy curry will get overboard to handle. 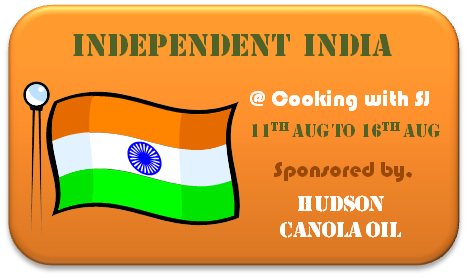 Happy Independence day to all my readers!! Wash and Cook basmati rice with salt, olive oil and water of 1 and 1/2 cups. Once your rice is cooked, fork it to get separate grains and keep it aside. Heat oil in a pan and fry chopped garlic and spring onion whites until the raw smell subsides. Then add onion and fry for a min. Now add all the vegetables one by one. Add carrots and fry them for a min and repeat this process till you are done with all the vegetables. Do not allow them to cook. Just the raw smell needs to subside. Now add soy sauce, green chilly sauce, sugar,salt and pepper powder. Ensure that all the ingredients are blended well. Finally add rice and chopped green onion. Turn your flame to high and fry for 2 mins. 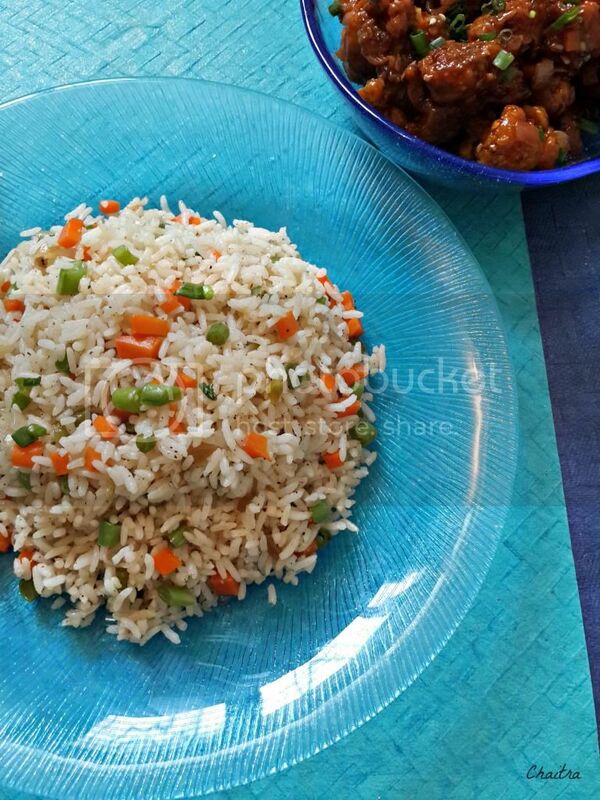 Make sure that you do not burn your rice.Keep Stirring to avoid burning. Transfer the contents to a serving bowl and enjoy!! 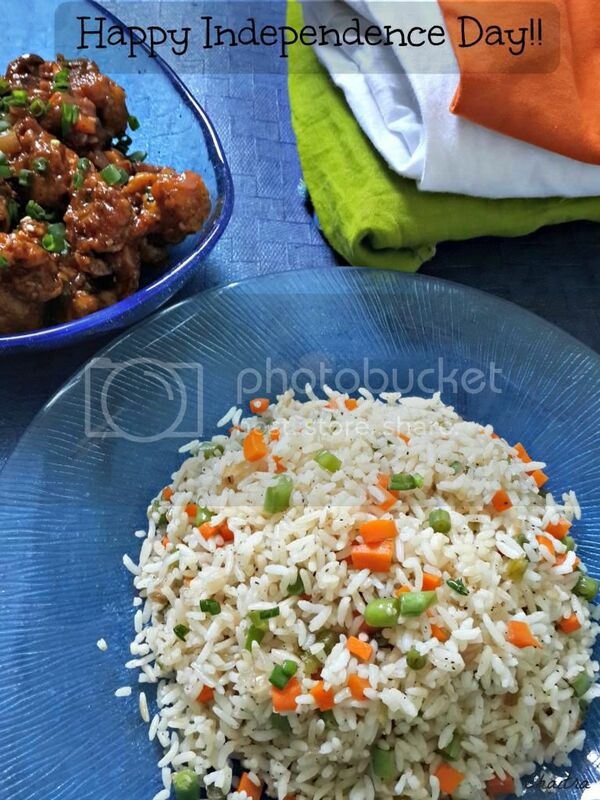 I served mine with Semi Dry Gobi Manchuria and I loved it. Recipe for Gobi Manchuria will be up soon. 1) You can use Sesame Seeds oil instead of olive oil. 2) You can even add 1 cup of cabbage along with these vegetables. Chop it finely. 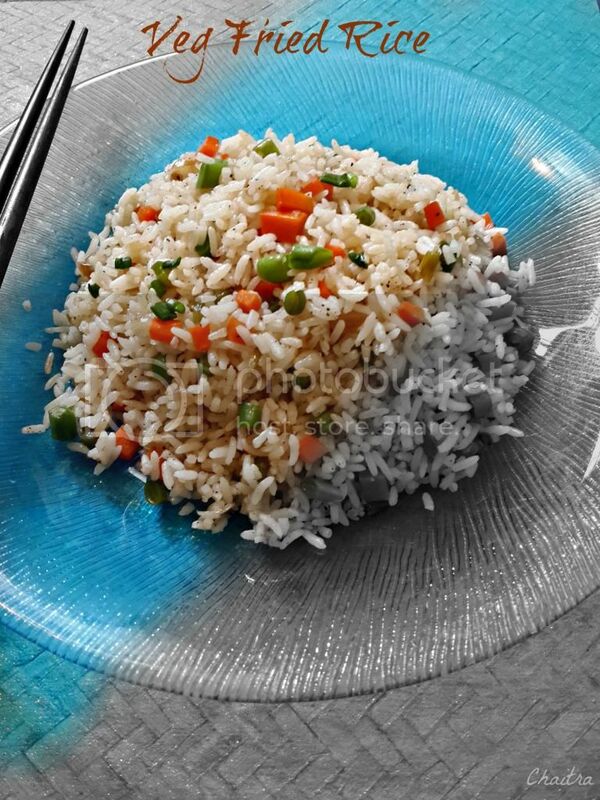 3) Do not use more soy sauce, it gives a dark shade and it over powers the rice. 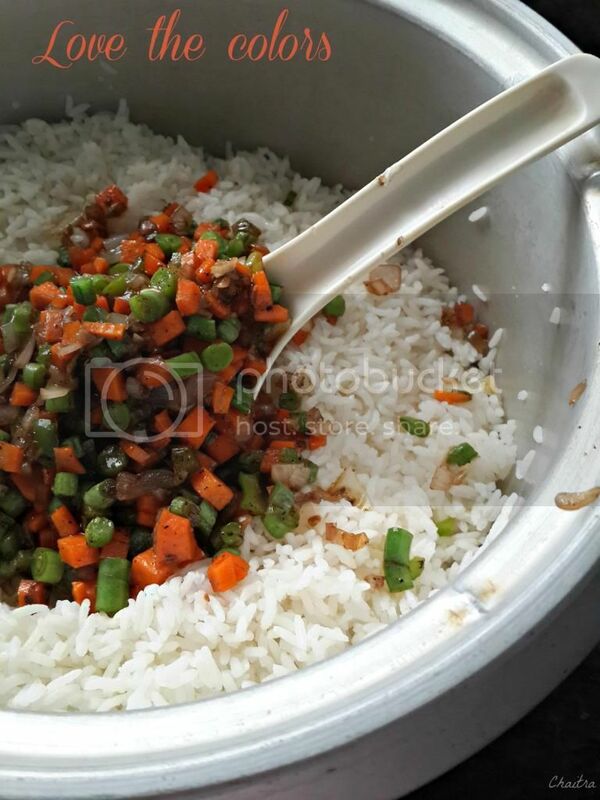 4) Make sure that your rice is separate and grainy. 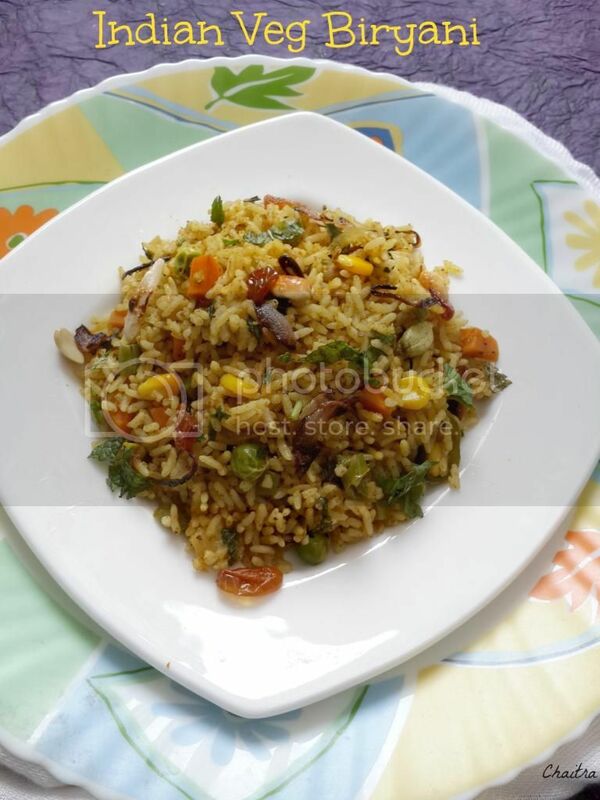 5) I find it extremely difficult to mix rice and vegetables in the same pan. Most of the times, I tend to mess. So I mix rice and vegetables in a wide bowl and fry them. Before starting this recipe, I bore a clear idea how I wanted it to taste. Dates should play the main character, consistency should be creamy, mild flavor of cardamoms and itty bitty pieces of nuts playing their part. Accordingly, I went ahead with this idea and built my recipe around it. I was immensely pleased with the result as I was able to recreate this dish just the way I wanted it. 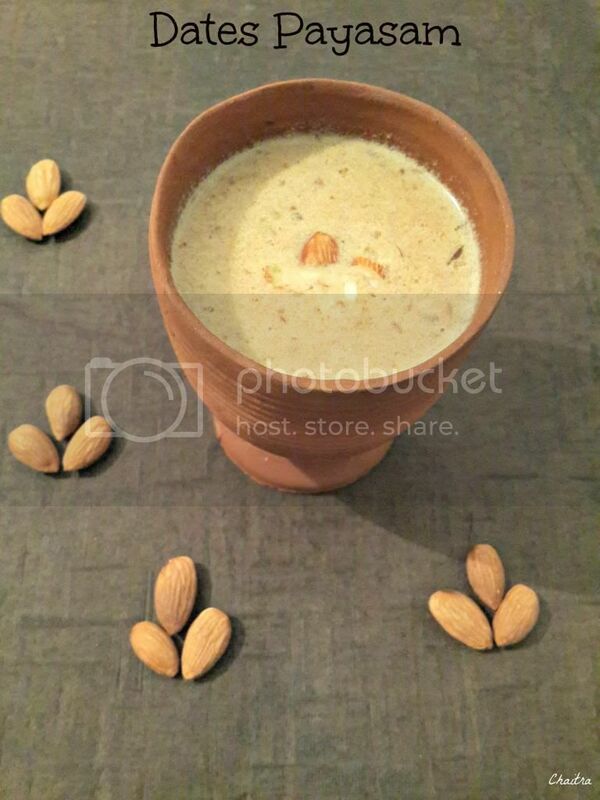 So get ready for a simple and easy to make Kheer this Sunday. Soak dates in 1/2 cup of warm milk for 20-30 mins. Grind dates into smooth paste by adding milk used for soaking. Bring milk to boil. Once it starts boiling, turn the flame to sim and add this dates mixture. Combine all the ingredients well. Allow this mixture to cook for about 7-8 mins or until you get the desired consistency. Add nuts, cardamom powder and coconut milk. Mix all the ingredients. Cook for another 2 mins and switch off. 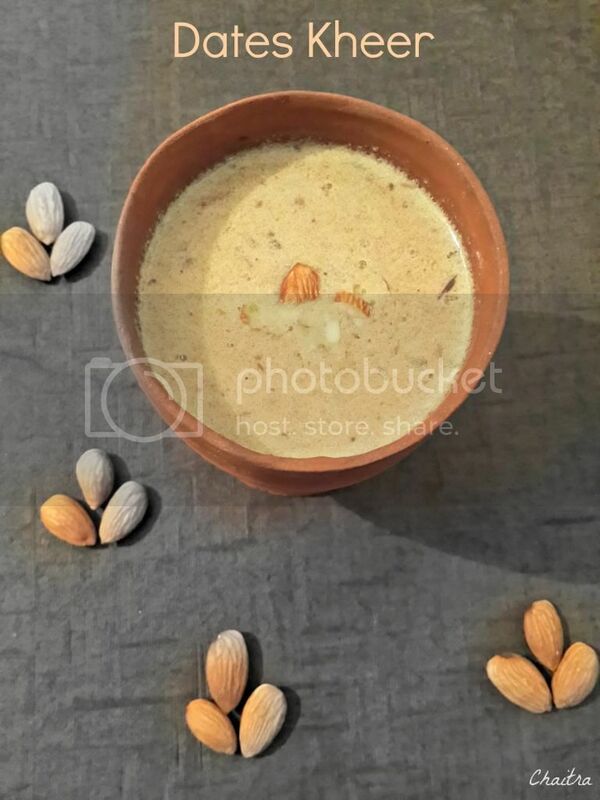 You can make this kheer with just 4 ingredients- Milk, dates, nuts and ghee. The taste remains almost the same. 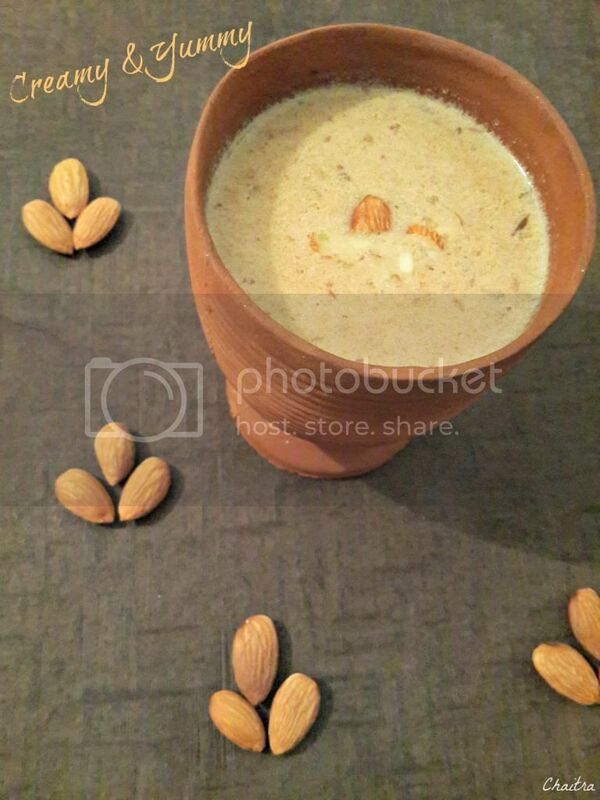 You can add condensed milk for a creamier kheer. Adjust dates quantity accordingly and avoid coconut milk. Coconut milk is purely optional. You can ghee roast coconut bits and add it to the kheer. Adjust dates according to your sweet tooth. Mine was little less sweet. So I had to use some honey to match my taste.